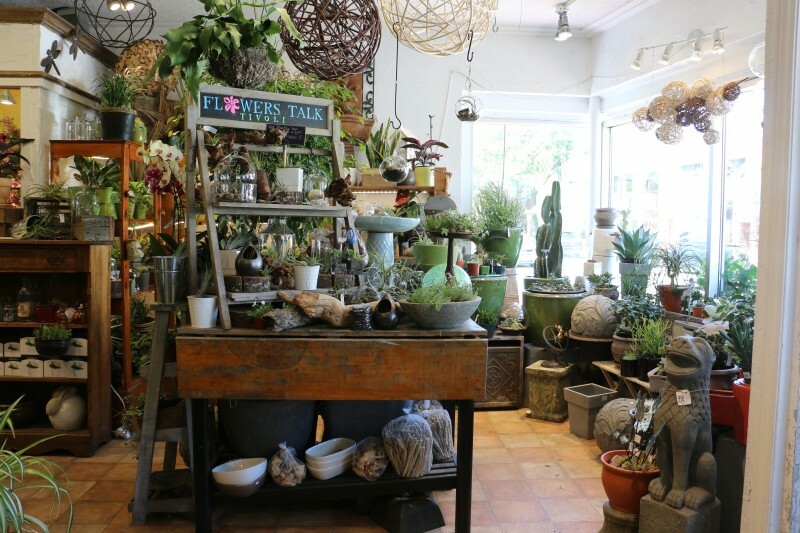 A colleague of mine (you know who you are) will be very delighted that I finally made a blog post about Flowers Talk Tivoli, a gem find for flower and plant enthusiasts alike. I was glad to find another plant lover at work and what was more? We discovered we also shared the love for Flowers Talk Tivoli. . This flower shop is pretty much the only reason I go to Westboro. It is my go-to spot when I need a little pick me up (which is quite often 😉 ). I discovered Flowers Talk Tivoli last winter when I was searching online for plant shops that carried unique and rare items. Luckily, I found a discussion board where someone had suggested this flower shop. I took D with me to go visit this place one Sunday afternoon. The moment we entered the shop, my eyes went wide opened in astonishment. I looked over at D, only to see him looking back at me with a smile on his face as if to say “Oh, boy! We’re not leaving anytime soon” And he was right. I slowly combed through each section, taking it all in. I couldn’t believe I had found ‘my kind of flower shop’. 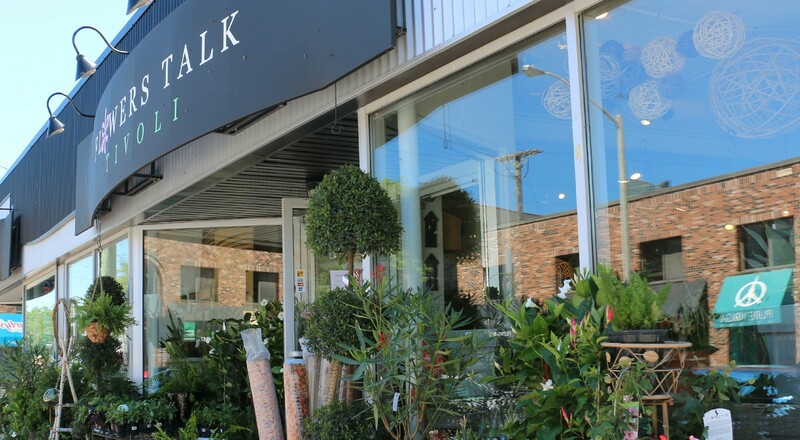 Flowers Talk Tivoli, owned by Elizabeth Young, opened on August 1st, 2014. 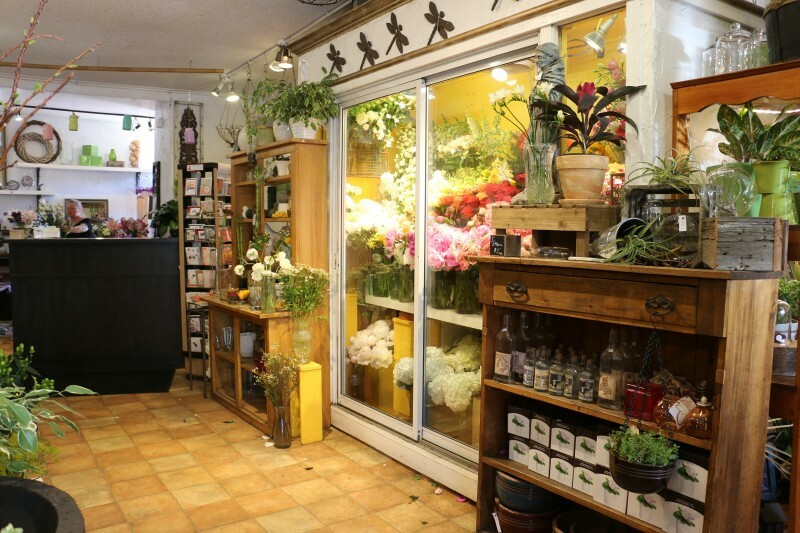 This Flower shop was born when Elizabeth merged her flower shop Flowers Talk with Tivoli which was owned by then retiring florist Michael Corbeil. Flowers Talk Tivoli is one of the trendy flower shops I’ve come across in Ottawa. While most flower shops have mostly flower arrangements (and rightly so) with very few plant varieties, Flowers Talk Tivoli does not skimp at all in the plant department. 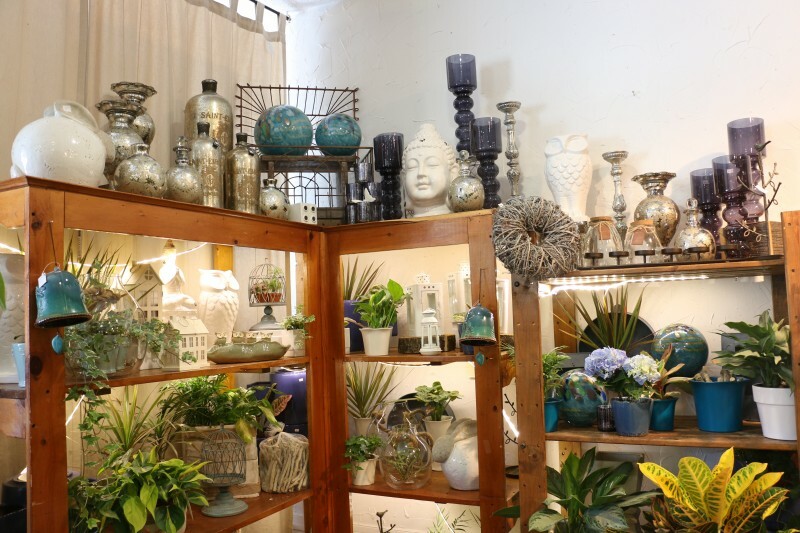 They carry a variety of popular house plants and once in a while you will find that really hard-to-find house plant you’ve been looking for (like the Hindu rope plant or mikado). That is what I love about this place. 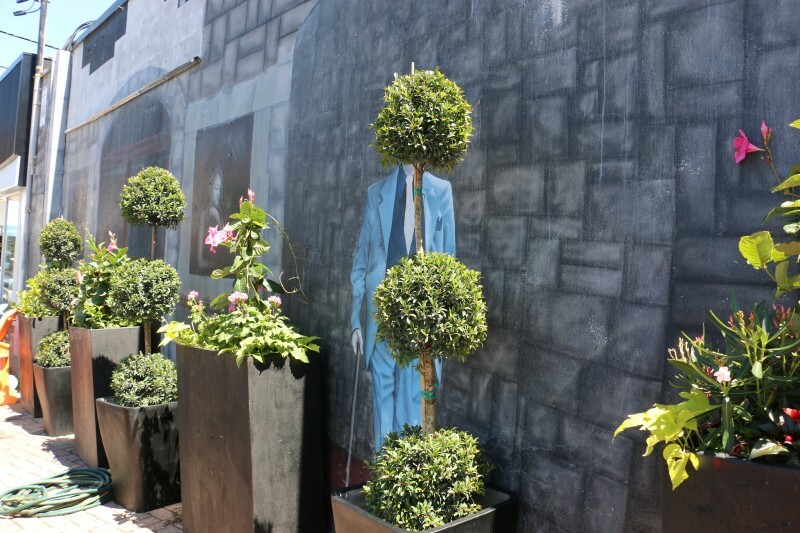 What kind of flower shop would you expect from a florist who has made flower arrangements for well-known public figures like Oprah, Hilary Clinton and Debbie Travis? Sheer plant heaven! I pop in there whenever I can to see what rare plants they have in stock. 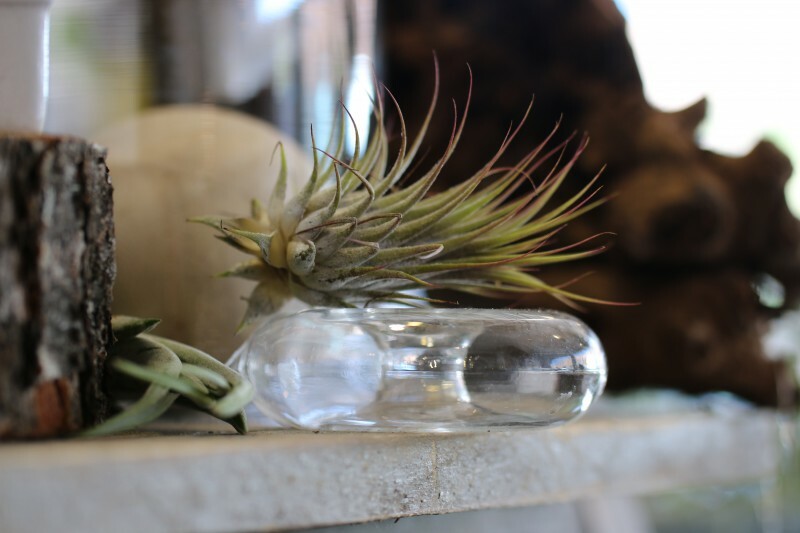 The airplant display is the first station I go to when I enter the shop. They carry different varieties and if you’re lucky you just might find a huge T. xerographica. And yes, I got one. 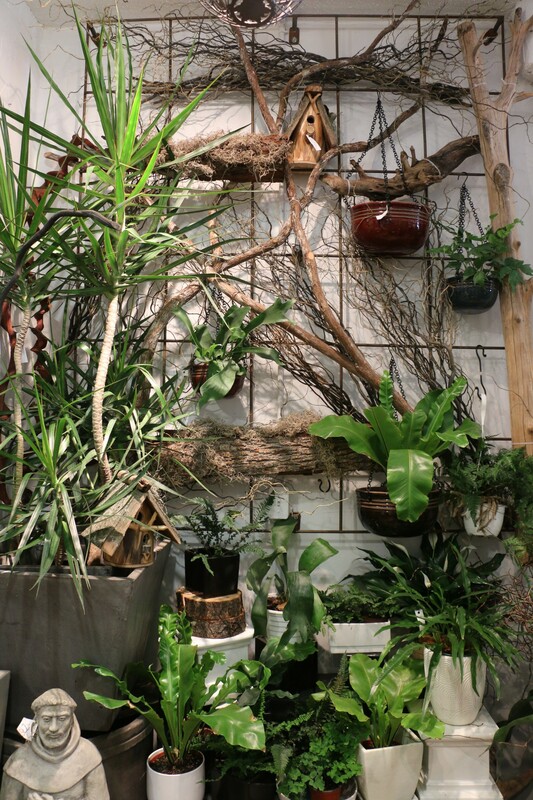 They have all sorts of ‘planty’ goodness, like cacti and succulents, as well as garden ornaments and planters. They have a few vertical plannters as well. I have my eye on those vertical hanging pots in the picture to the left below. You can’t walk through the store and not hear the chirping of these two love birds! If you love putting together terrariums ( like I do) or fairy gardens, then they have got just the right teeny-weeny plants for you. This woodland display of mostly ferns in the back of the shop caught my eye immediately. 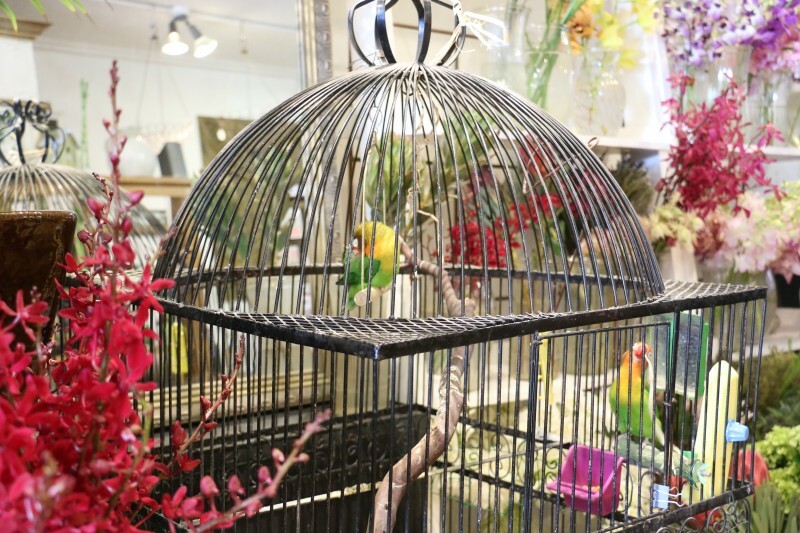 How amazing would it be to have such a display at the entrance or foyer in your home?! I love the lush plant display outside as well. 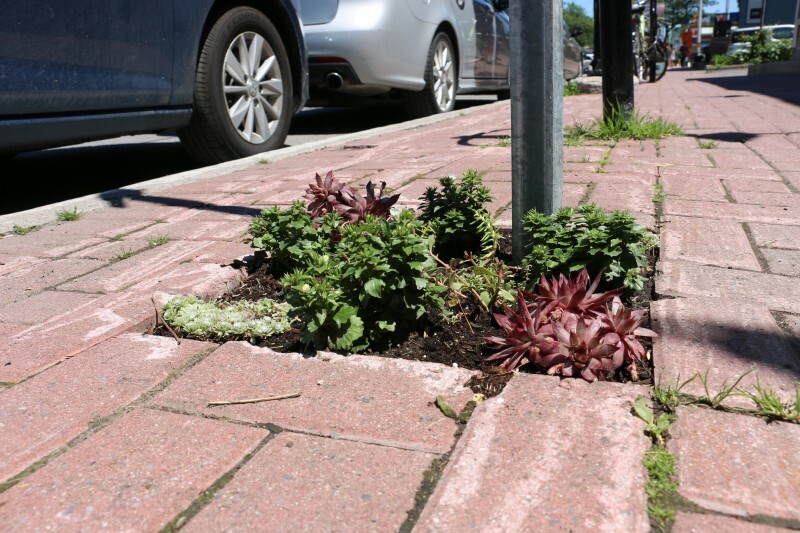 How cute is this succulent planting?! It was right outside the store. 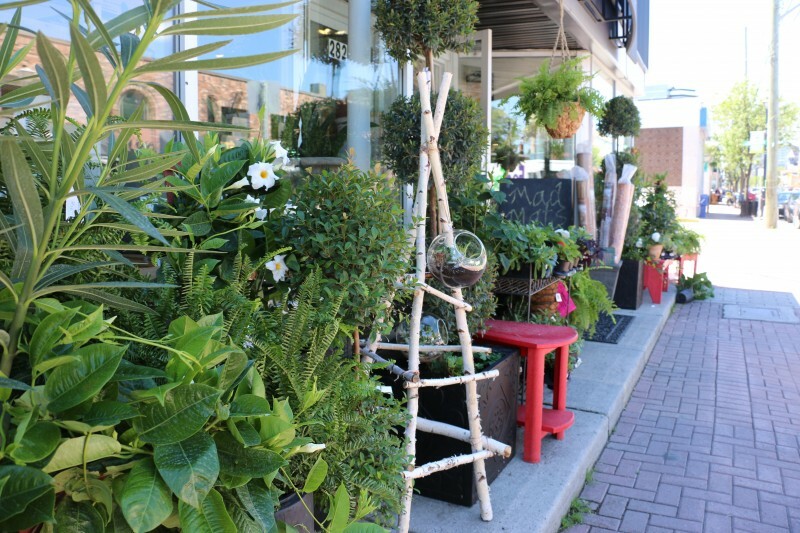 If you ever find yourself in Ottawa, be sure to visit Flowers Talk Tivoli and I guarantee you will leave with a plant in hand. They offer fun workshops too like terrarium building. Be sure to follow them on Instagram or Facebook to get up to date information on classes and newly stocked items. Great pictures!!! Those air plants though , I need one or three. I know right?! Its hard not to get one every time. I love this store! I have been visiting it and its predecessor for years. It’s like a secret garden, filled with flowers and plants and birds. The staff are wonderful. Sometimes in winter I go there just to inhale the moist earthy air. Yes Gwyn, it’s even more amazing in the winter when it’s so cold outside but so warm and full of life in the store. What a lovely store! I’ll definitely check it out the next time I’m in Ottawa. Once I get my pictures sorted out, I’ll show you a whole street of plant shops like this in Hong Kong’s “Flower Market” (you’ve already seen a few photos from my Instagram). Cant wait to see more pictures from your travel. How was the trip overall? Looks like you really enjoyed yourself.